In 2006, we introduced our line of High Performance Ceramic Ball Bearings after extensive testing. 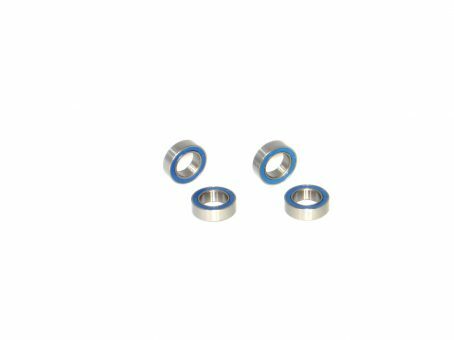 Our Ceramic Ball Bearings have Steel Races, Si3N4 Ceramic Balls, and are built with tolerances that balance high performance and long life. Ceramic Ball Bearings are up to 50% lighter than Standard Ball Bearings. The Ceramic Balls are 4x smoother than Steel Balls (lower friction coefficient). 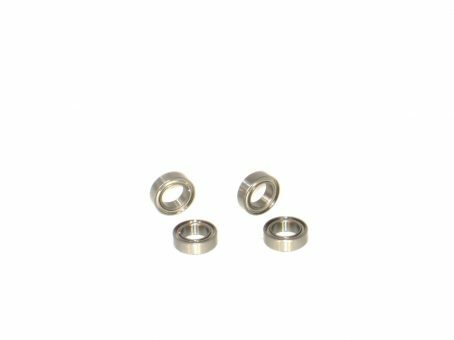 Due to the smoothness and light weight of the balls, Ceramic Bearings will have reduced heat, wear, and skidding. This results in a much more efficient bearing, which will have a longer life, a 30-50% higher speed rating, will spin more freely, and will spool up faster!